What ever happened to the Quill?! Last week I looked back at what went on during the second year of The Time Blawg with specific reference to Social Media: The Time Blawg – Two Years On (Part 1: Social Media) and then Blawging: The Time Blawg – Two Years On (Part 2: Blawging) and in each post give my thoughts on what 2013 has in store for social media/blawging and lawyers. Today I will do the same but with specific reference to Legal Technology. Part 4 will follow on what might be left, which would appear to be last year’s posts on QualitySolicitors. 2012 was the year of the Legal Technology Conference. At least for me as I attended a few. But not for most law firm partners who were not seen anywhere near them. Charles Christian at LawTech Futures 2012 referred to getting law firm partners to attend as the “holy grail of legal technology conferences”. This gave me the title of my blog post on that conference: LawTech Futures 2012 Reviewed: The Search for the Holy Grail of Legal Technology Conferences has Begun! Next up was Lex2012 Reviewed: Legal Innovation and Technology Conference reveals ‘Camel’ Computing. That title refers to a presentation by a law firm of their cloud computing solution that involves keeping the servers on your own premises although owned by the supplier and leased by the law firm. In my view this is not cloud computing as it should be but a hybrid designed by a committee of lawyers. Indeed at times I was shaking my head at the presentations at these conferences and thinking it was perhaps best for law firm partners not to be in attendance to hear the bad practice being espoused. Only 5% of delegates at Lex2012 were law firm partners. Don’t get me wrong though. It was not all bad. Some of the presentations made you think and indeed some introduced me to legal technology that I was unaware of. The most interesting legal technology conference of the year was LawTech Camp London. As I blogged in LawTech Camp London 2012 Reviewed: Time to Push it stood out from the rest by being somewhat unique in its format and content. Adopting the BarCamp or UnConference style this conference was shaped by those who wanted to talk and not by a programme designed solely by the organisers or influenced by sponsors. The use of six minute Pecha Kucha style sessions spiced things up a bit. This even inspired me to do a Pecha Kucha presentation at the Crofting Law Conference in September – a first! In a subsequent post I highlighted tweets from the conference: LawTech Camp London 2012: In Tweets. In 2012 I was Speaking about Cloud Computing for Law Firms (my experiences of taking my law firm, Inksters, into the Cloud) and Reviewing Cloud Computing for Lawyers (the book by Nicole Black). Both (if you can excuse my lack of modesty) giving more insight into cloud computing than was evident at any of the legal technology conferences mentioned earlier. My last legal technology post of 2012 was Is the Surface any good for lawyers? Part 1: First impressions. With three presentation stages including a 400 seat conference room delivering multi-stream conference sessions, keynote presentations, panel discussions, interviews, debates and interactive demonstrations, ‘LawTech Futures 2013 – The Future of Legal Technology’ promises to be the biggest legal technology conference and exhibition outside of the U.S.A.
No word on Lex2013 as yet. LawTech Camp has been renamed ReInvent Law with a conference in Dubai in December 2012 and one scheduled for Silicon Valley on 8 March 2013. No word yet on a ReInvent Law London 2013 but hopefully that will happen. The one to watch out for in 2013 could well be Law Hack Camp London (the first law hackathon in the UK) organised by Amanda Bancroft and Jon Harman. Originally scheduled for the end of this month it is now planned for April 2013 (exact dates still to be confirmed). Jon Busby tweeted during LawTech Futures 2012 “this is same people saying same thing as last year and year before that, nothing new which says it all really.” The challenge for legal technology conference organisers in 2013 will be to not fall into that category. Law Hack Camp London might just achieve that. I predict that cloud computing will become more mainstream for law firms in 2013 and beyond. There will still be those that caution against it but pay no attention to them as they probably have never used it. I will be blogging more about my experiences of using the Surface in 2013 (Part 2 of the series will be on connectivity). 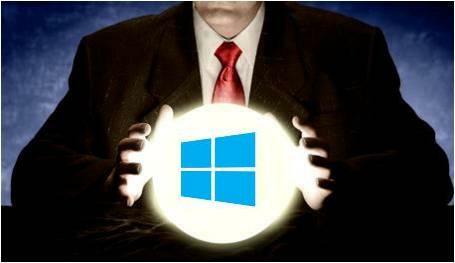 Lawyers probably will not take note of Windows 8 in 2013 given that most have yet to even experience Windows 7. In previous years I have mentioned video and also legal documentation online when making legal technology predictions (e.g. 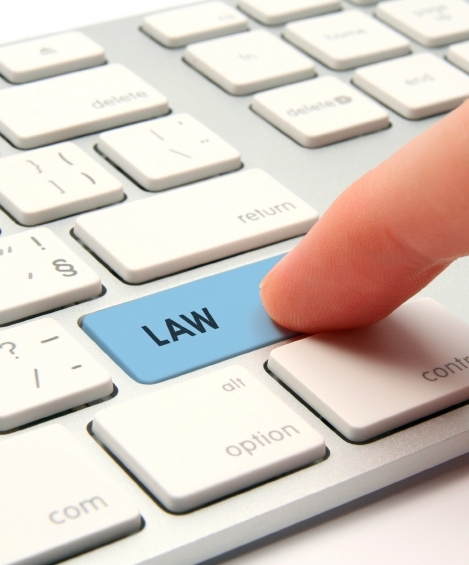 Future Law: IT Predictions for 2011). There has been a bit of movement on both since 2011 but nothing major. However, with Legal Zoom (NB link is to US website as no UK one yet but apparently coming soon) and Rocket Lawyer both making the transition from the US to the UK that may be about to change so far as online legal documentation is concerned. Perhaps I will blog about that on The Time Blawg in 2013. D Armstrong on 14/01/2013 at 9:45 am. We are all looking forward to a big year of legal tech events, and well done to Jon Harman and team, sounds like they have a good event and my best wishes for success in 2013..
Well done on a well written article Brian and keep up the great work ..
Jon Busby on 14/01/2013 at 10:24 pm. Umm followed the hashtag you provided on Twitter. Jon Harman on 15/01/2013 at 10:40 am. Just a quick word on my perspective and why do LawTechCamp or LawHackCamp. I’m not interested in the business of events, keynotes and prognosticating – lots of talk and no action. We’ve been talking about the same things for years. Richard S said it in 1996, he’s still saying it in 2013. The push for LawTechCamp and LawHackCamp is “let’s just do it” – the reason it has been free is I think we need to ignite the positive deviants within our industry – they’re not the partners and senior managers. Apple would never be born out of IBM or Google out of Yahoo etc etc. I’ll write more about this later. The growth of legal tech conferences is great for conference organisers, speakers and publishers, but it won’t change things. That’s going to need a different shake-up we need less Malcolm McLarens and more Johnny Rottens. ; ) LawTechPunk could be fun. Tessa Shepperson on 22/01/2013 at 11:30 pm. My tech experience this year and the latter part of last year are signing up to American automation company Infusionsoft http://www.infusionsoft.com/ for my business and doing an Open University foundation course in Technology https://msds.open.ac.uk/students/study/undergraduate/course/tu100.htm for interest – which I am really enjoying. If anyone wants an interesting and informative tech course I would highly recommend it. Although I was lucky and just signed up in time for ‘transitional funding’. Sadly for others it is all a bit expensive now as the OU lost much of its funding and had to raise its prices (its expensive enough anyway WITH the transitional funding). One of the things we are looking at on the course just now is the prospect of computing as a utility – like electricity. I suspect it is coming, and in about 10 – 20 years people may find it odd that we thought twice about cloud computing. LIke we don’t all have our own electricity generators in the basement. On the other hand there are potentially big problems – security and the fact that a lot of your critical information could be sitting in a data bank on the east coast of the USA. My Landlord Law site by the way (and most of my other websites) are with UK Fast http://www.ukfast.co.uk/ – a 100% carbon neutral company which has its data centre in Manchester. I still use Dropbox though as its so convenient …. I am hoping that my OU course will help inspire me with new ideas for the business – it is certainly helping me understand Infusionsoft. The internet is probably partly behind the wave of high street failures we are seeing just now, and may also be behind the closure of many small and medium law firms which I suspect is coming, but it holds exciting possibilities for those who take the trouble to find out about it and embrace it. I’m glad you are one of those Brian.